In the 50's the Mexican influence in Serbia spread to all of the popular culture: fake Mexican bands were forming and their records still can be found at the flea markets nowadays. 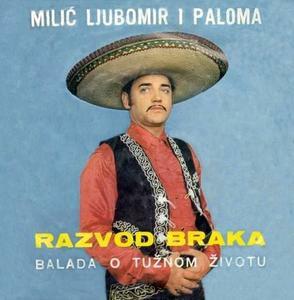 The most charming Mexicans were Nikola Karović and Slavko Perović; while the most determined was Ljubomir Milić. Ana Milosavljević was the queen and the dark voice of Nevenka Arsova her first companion. Hundreds of performers covered themselves with sombreros to become Mexicans.